A hugely experienced figure in the greenkeeping industry, Mr Reid (pictured on right) will make the move from Carnoustie Golf Links where he has worked as Links Superintendent since 2012. St Andrews Links Chief Executive Euan Loudon said: “We are delighted to welcome Sandy to the Home of Golf. 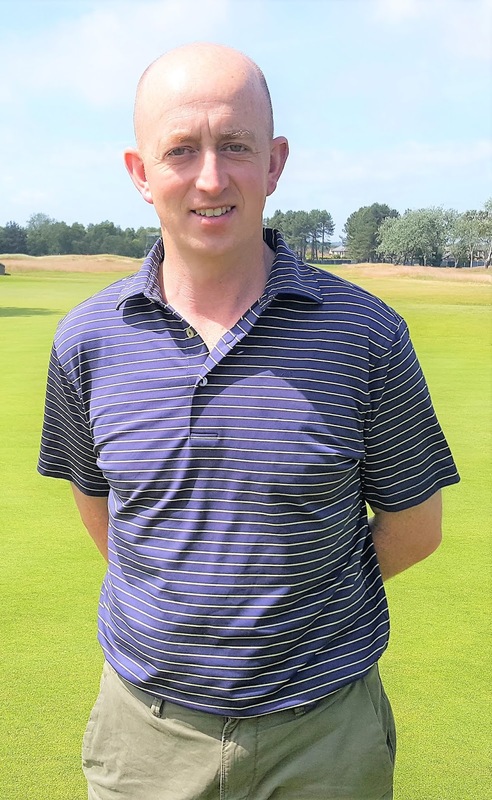 He has an outstanding track record at Carnoustie Golf Links, as evidenced by the wonderful condition of the Championship Course for The 147th Open Championship this summer. Mr Reid originally hails from Blair Atholl and trained at Elmwood College in Fife before starting his career at Letham Grange. He joined Carnoustie Golf Links in 1997, becoming Head Greenkeeper of the Championship Course in 2005. Mr Reid said: “I am extremely honoured and excited to be joining the hard working and dedicated team at the Home of Golf. Over the last decade, St Andrews Links has continued to make major investments in its facilities and services. In addition to maintaining seven public courses, St Andrews Links is now home to three clubhouses, five shops and the Golf Academy. It employs just over 400 people in the high season with almost 230,000 rounds of golf played on the six 18-hole courses in 2017. Mr Reid’s appointment arose following the retirement of incumbent Gordon Moir, who has worked at the Links for more than 26 years and began his tenure as Director of Greenkeeping in October 2000. Mr Reid will take up his new role in St Andrews in early December with Mr Moir formally retiring at the end of the year.